Producing private events at clubs and lounges in addition to comedy shows has shown us the difficulties in having your event marginalized to only appeal to a certain crowd. When people refer to our show as an “urban” show, that puts certain expectations in the mind of the performer or audience member who might be hearing about us through a third party before actually coming to our show. The same thing can happen if people were to refer to us as an “alternative” or “mainstream” show. We prefer to be thought of as an important event that occurs every month. Our show has a consistent audience that most comedians wish they could perform in front of all the time. They are respectful, warm and just want to have fun. Sometimes people think ‘urban show’ and honestly the first few things that come to mind are: loud, ethnic and often intimidating. We’d be fools to ourselves if we didn’t consider the reason why people that haven’t been to our show refer to it as “urban” is because we both happened to be black men. No other pairing like us has been able to attract the diversity, size and faithfulness of our audience except for maybe the guys who run “Broken Comedy” on Monday nights in Greenpoint, Brooklyn (check out that show if you can)! We pride ourselves on that and are happy to know that the hard work we put in with promoting, booking and execution is really starting to pay off. Being marginalized can limit your exposure and give false assumptions to people who have yet to experience something for themselves. In a previous blog, we discussed branding and this comes right back to the importance of that. Branding is only successful when your messaging is getting to the people you want to attract. We want to appeal to everyone who enjoys live comedy and supporting the arts. It doesn’t matter if you’re white, black or green: if you like comedy, we want you to come to our show! 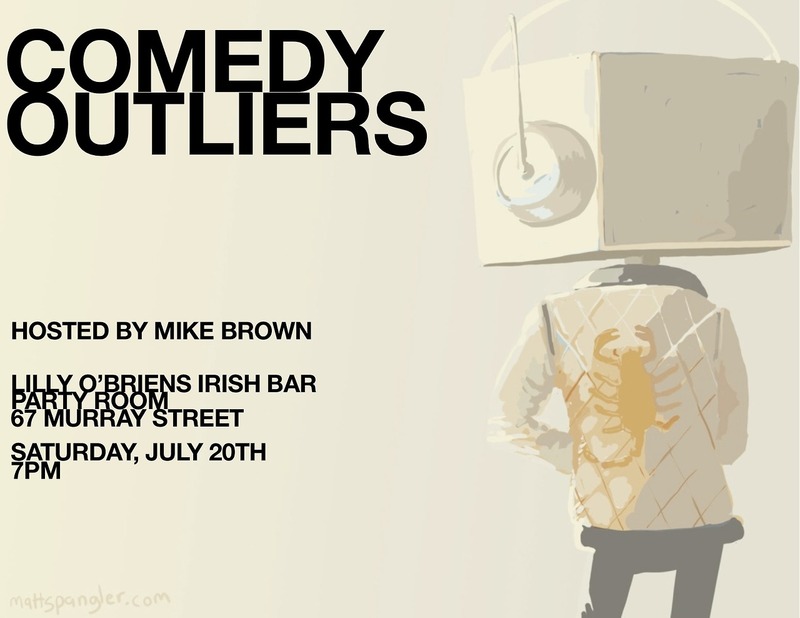 Simply put: we don’t want “Comedy Outliers” to be considered an ‘urban’ show. We also don’t want it to be considered an ‘alternative’ show. We want it to be thought of as a GREAT show. Come out and find out just how great it is!